BREMEN - Dorothy Christine Eaves Ball peacefully passed away January 3, 2011 in Bremen, KY at the loving and caring home of of her daughter-in-law Teresia Ball and family. Born June 16, 1927 in Powderly, Ky to George Timothy Eaves and Stella Mae Penrod Eaves, Dorothy was the fourth of seven children. She was preceded in death by her husband of fifty-eight years Carl B. Ball, and sons Danny C. Ball, Freddie J. Ball, and M. Timothy Ball. She is survived by her sister Norma R. Bechtel of Ohio, daughter Donna K. Manos (Jim) of California, numerous grandchildren, great-grandchildren, nieces and nephews. Visitation will be from 5-8PM on Thursday, January 6, 2011. 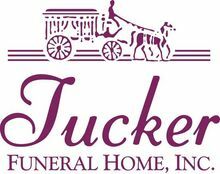 Funeral services will be held on Friday, January 7, 2011 at 10:00AM at Tucker Funeral Home in Central City. Burial will follow in Rose Hill Cemetery, Central City, Ky.
say " HI " to my angel !!! I will miss you my lil grannie ! You made me laugh. May you have some peace now .